The Holidays are a perfect time to get out and explore the city. The Holiday calendar for Indianapolis is jam packed with activities for every day in the month of December. These are some of my favorites. Circle of Lights at Soldiers and Sailors Monument - Whether you drive, walk or take a horse drawn carriage around the circle, this Indianapolis landmark is a must see during the Holidays. Benjamin Harrison House - Decorated for the Holidays, the authentically restored Italianate home of the late President is an Historic beauty that comes alive during the Holidays. Schedule a Victorian Holiday tea or view it for free during the “12 Free Days of Christmas”. Garfield Park Conservatory and Sunken Gardens - Certain to thrill the old and young alike. A beautiful display of lights and poinsettias for those of us who like simple decor and a train village sure to thrill the children in us all. Jolly Days Winter Wonderland at the Indianapolis Children’s Museum. A great time for kids of all ages. Snow, cookies, reindeer, ice skating and Santa - what child could ask for more? Oh yeah, the Yule Slide is always a treat! Christmas at the Zoo - A magical winter wonderland complete with 100,000’s of thousand lights and an all star cast of lions, tigers, bears and Santa. Duke Energy Yuletide Celebration - Sandi Patty joins the Indianapolis Symphony Orchestra for one of Indianapolis’ favorite Holiday event. Great fun for kids and adults alike at the Hilbert Circle Theatre. The Polar Express at IMAX Theatre - There is no better place to watch this great family show in 3D. Broad Ripple Lights Up - Mark your calendars for December 11th for a celebration - “Broad Ripple Style”. Children's activities at the firehouse, live reindeer, a parade, Mr. and Mrs. Claus and tree lighting. A Holiday list would not be complete without a traditional performance of The Nutcracker. Choose between watching the Nutcracker at Madame Walker Theatre by the Indiana Ballet Conservatory or at the Scottish Rite Cathedral, performed by the Indianapolis School of Ballet. BONUS* The city’s most favored production of Handel’s Messiah will be performed at Clowes Memorial Hall at Butler University by the Indianapolis Symphony Orchestra. 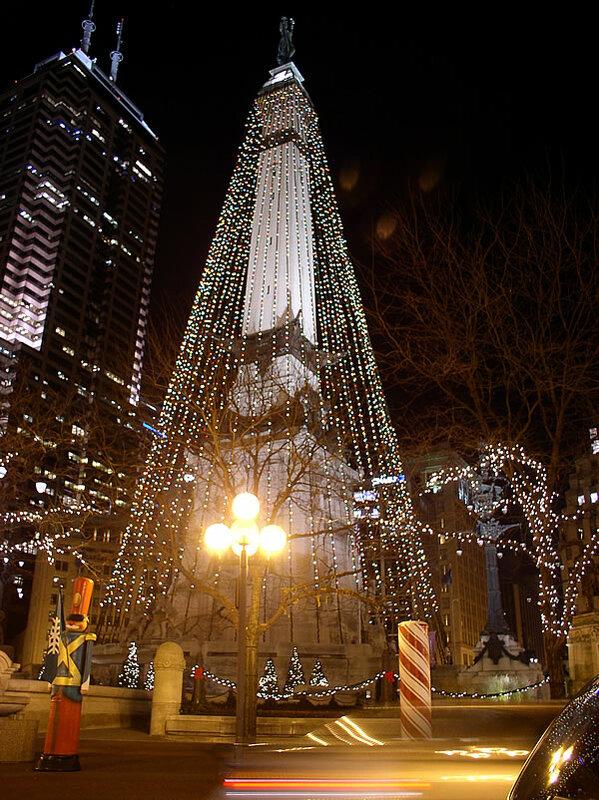 There are so many things to do in Indianapolis in December, it’s difficult to choose. I would love to know what your favorites are, what you traditionally do each year and if we share some favorites.